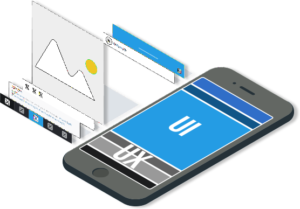 Mobile UI and UX Design are often bundled together as one, they are in fact two separate disciplines. UI design is centered on layout and the fine detail of how the user interacts with the product. UX design however is about the overall experience, the look and feel of the product, and how the user navigates through it from start to finish.